How does sugar impact the health of your teeth? Sugar – People consume an estimated 130 pounds of sugar per year. That’s a lot of sugar! But what’s not to like about sugar anyway? Plaque, a sticky substance, is always forming on your teeth and gums. Plaque contains bacteria. The bacteria contained in the plaque feeds on the sugar in foods you eat or drink. Acids are created in about 20 seconds and last for about 30 minutes. Those acids can destroy your tooth enamel over time. Any acidic environment can promote tooth decay, so be sure to avoid eating anything sour or acidic. Sour plus sugar is especially harmful to your pearly whites! Sugar, in one form or another, is in almost everything we eat, every day, all year long. So, how does someone prevent tooth decay? It’s easy. Have your teeth checked and cleaned at least once a year, or better yet, twice a year. Eat a variety of proteins (beef, poultry, eggs, fish, legumes, nuts and seeds), fresh fruits, whole grains and dairy. When you eat enough protein, you curb your desire for sweets. Drink lots of water. The rule of thumb is “drink half your weight in ounces of water daily.” Drink even more on excessively hot days and when you exercise. (If you weigh 200lbs, aim for 100 ounces of water. That’s about 6 16-oz bottles of water.) Water is crucial to your health. Read The Importance of Water in the Diet. Avoid drinking soda, pop, soft drinks (whatever you call carbonated beverages). Drink water, flavored water or green tea instead. Avoid eating candy and desserts or limit them to a small serving once or twice a week at least. Watch your snacking. It is recommended by nutritionists that five or six smaller meals be eaten throughout the day. Eating small meals more often provides optimal energy and health. Choose healthy snacks like raw vegetables, fruits, cheese, nut butters or nuts. Eat cheeses as cheese stops the acid attacks from sugar on your teeth. Be aware of the controversy about the potential health risks associated with artificial sweeteners. “Low-sugar” or “sugar-free” products use artificial sweeteners. Research shows they can still create an acidic environment in your mouth. If sugar has impacted your oral health with severe tooth decay or tooth loss, know this. You have options. 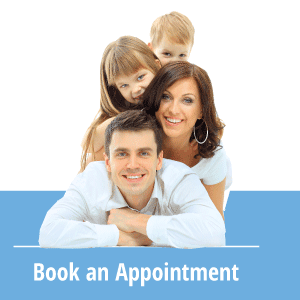 Call Sherwood Dental at (780) 464-4166 today to find out about the options available to you. Ask about a free consultation.